Megan Dowd Lambert won a 2016 Ezra Jack Keats New Writer Honor for her first picture book, A Crow of His Own illustrated by David Hyde Costello (Charlesbridge 2015). Her next title, Real Sisters Pretend, illustrated by Nicole Tadgell (Tilbury 2016), was a 2017 NSSTBYP pick. In 2020 Charlesbridge will publish A Kid of Their Own illustrated by Jessica Lanan and will debut her early reader series about two best friends, Jane and June. 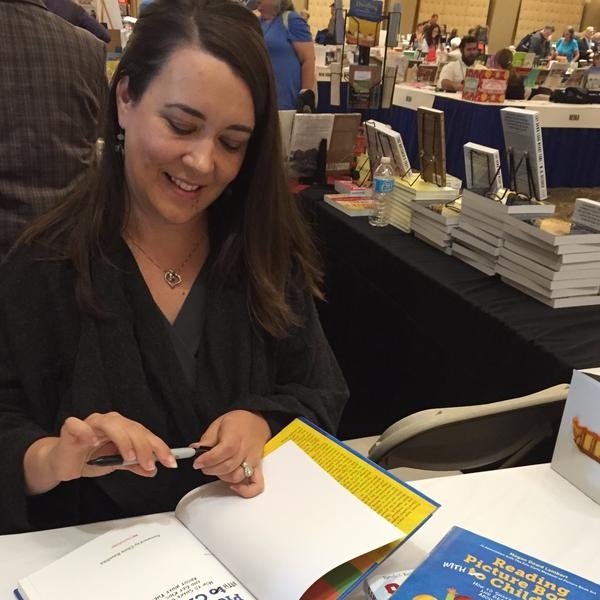 Megan also wrote Reading Picture Books with Children (Charlesbridge 2015) which introduces the Whole Book Approach to storytime that she developed in association with the Eric Carle Museum of Picture Book Art. She is now a Senior Lecturer in Children’s Literature at Simmons University, and she writes and reviews for Kirkus, The Horn Book and other publications. A frequent conference speaker and trainer at museums, libraries, schools, colleges, and universities, Megan grew up in Vermont and lives with her family, including 7 children ages 1-21, in western MA.